The Salford Evening Chronicle on the 24th October 1956 on the decision to build Kersal Flats. 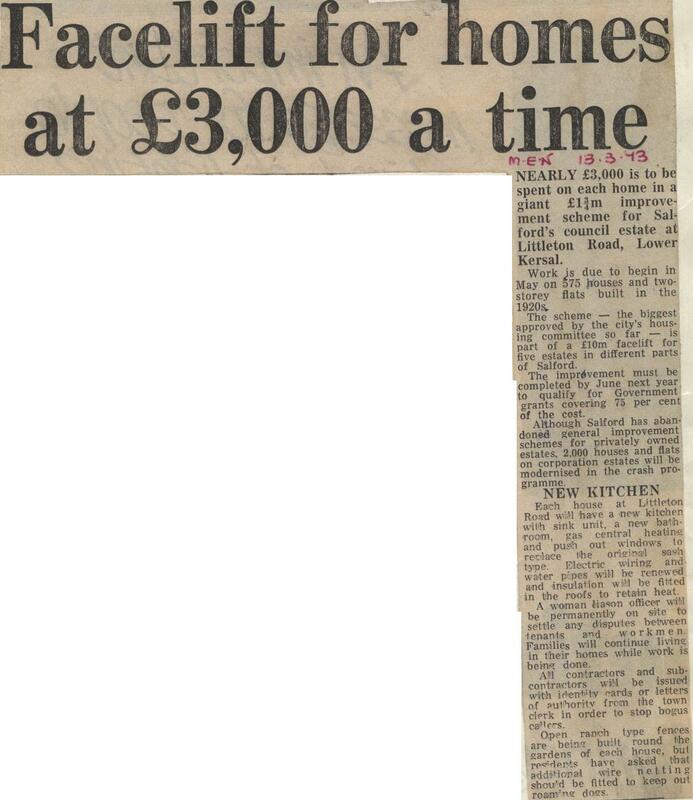 A report from the Salford City Reporter from the 12th August 1960 on the flats being completed ahead of time. 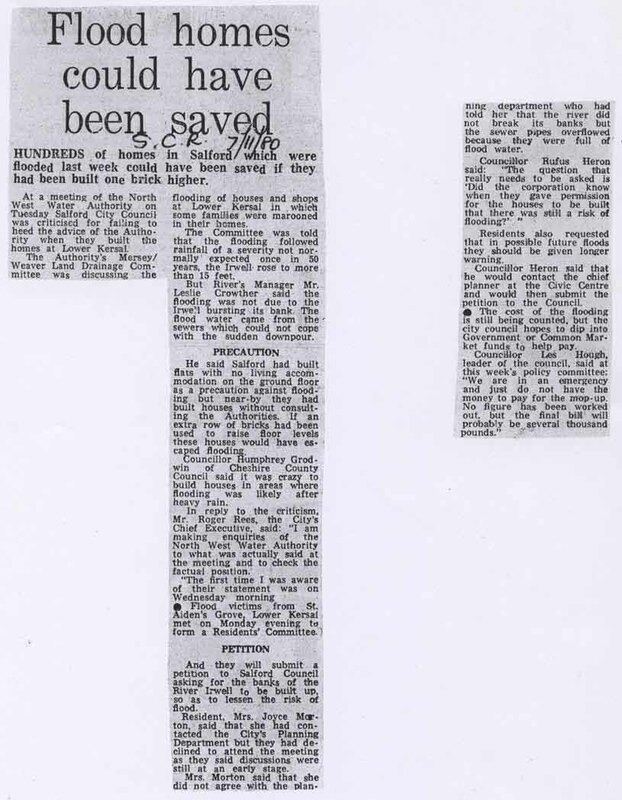 A report from the Salford City Reporter dated the 9th March 1962 on the opening of the flats by Hugh Gaitskell. 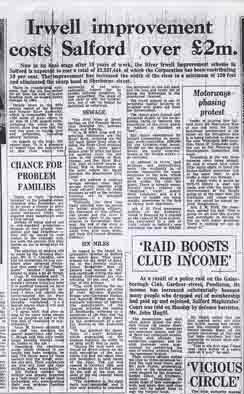 Another report from the same paper on the same day. 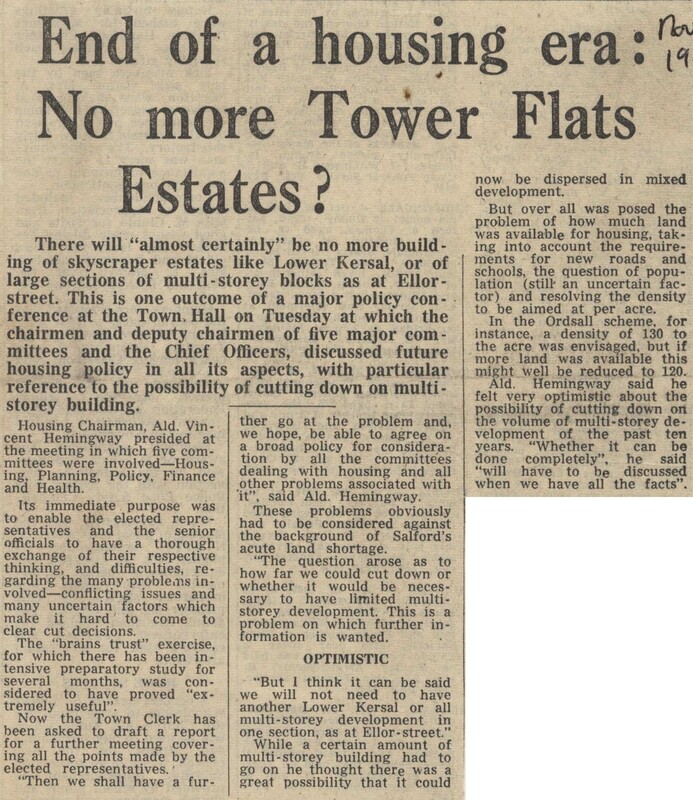 On the Problems with High Rise Flats and the Decisions to End Them. 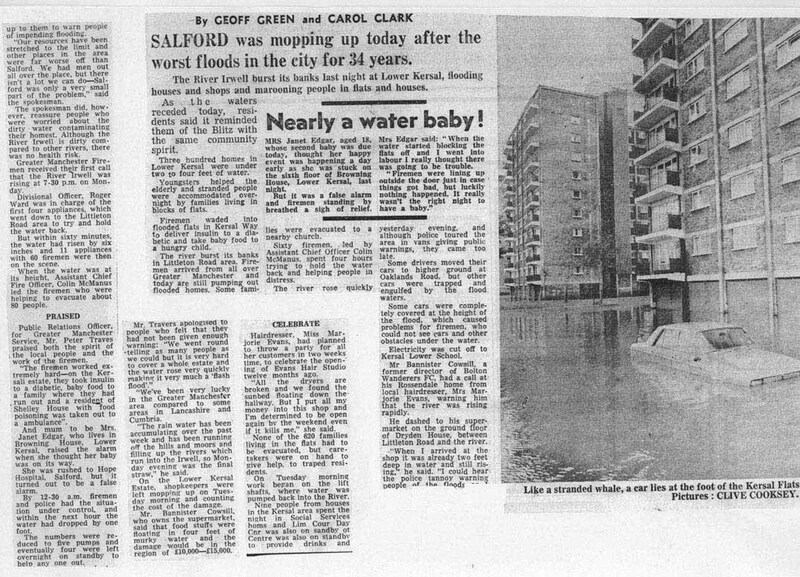 The Salfor City Reporter on the dislike of high rise flats on the 26th May 1967. 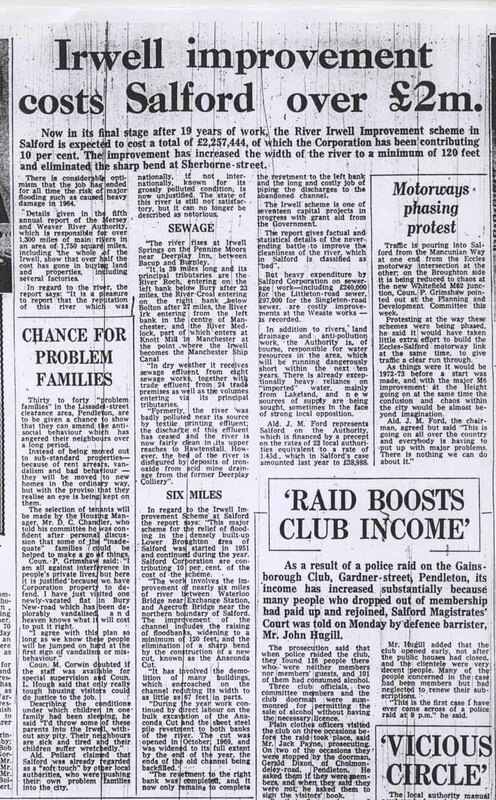 The 3rd November 1967 and the decision not to build anymore high rise estates. 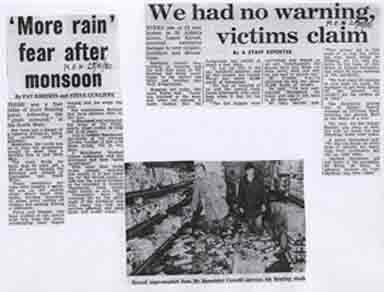 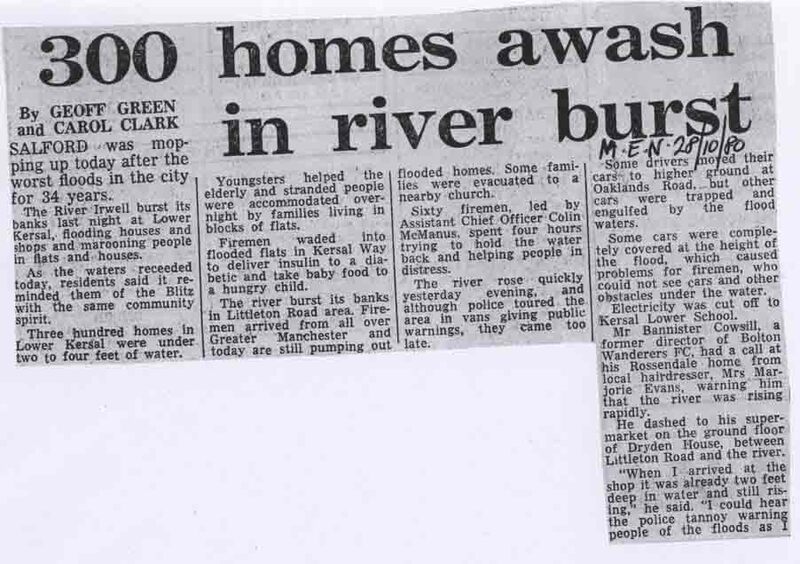 A report in the Salford City Reporter from the 5th March 1971 in whicn the Carter family of the 10th Flood of Blake House bemoan conditions in the flats. 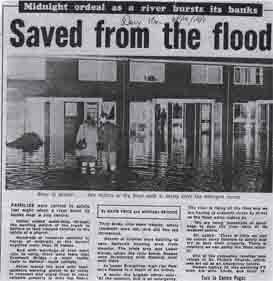 The Salford City Reporter on the 4th February 1977 and the decision not to build any more high rise flats. 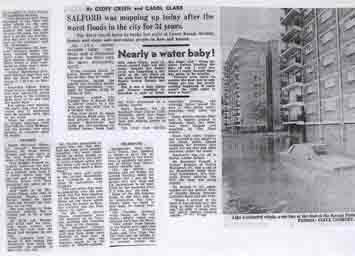 The Salford City Reporter details on the 18th Febriary 1977 the decision by the City of Salford to move all families with children under the age of 10 out of high rise flats. 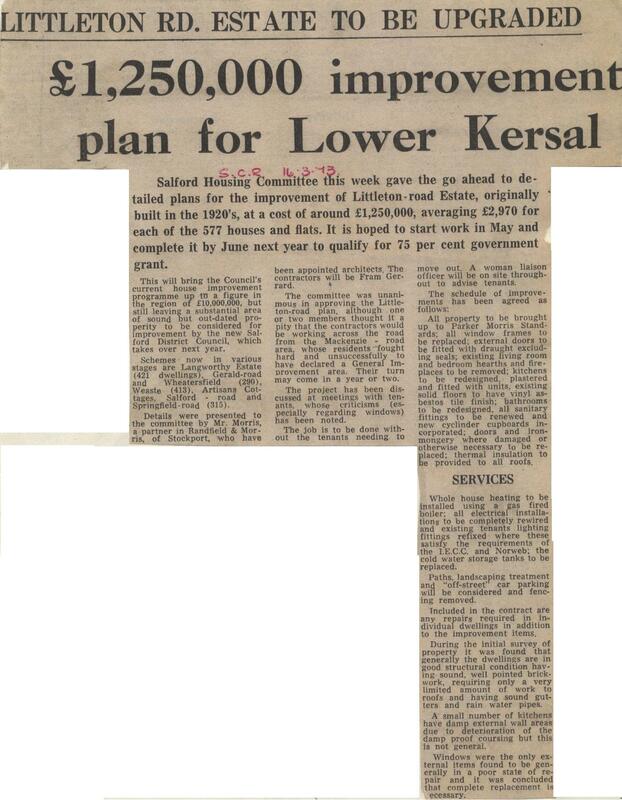 This was the beginning of the end for Kersal Flats. 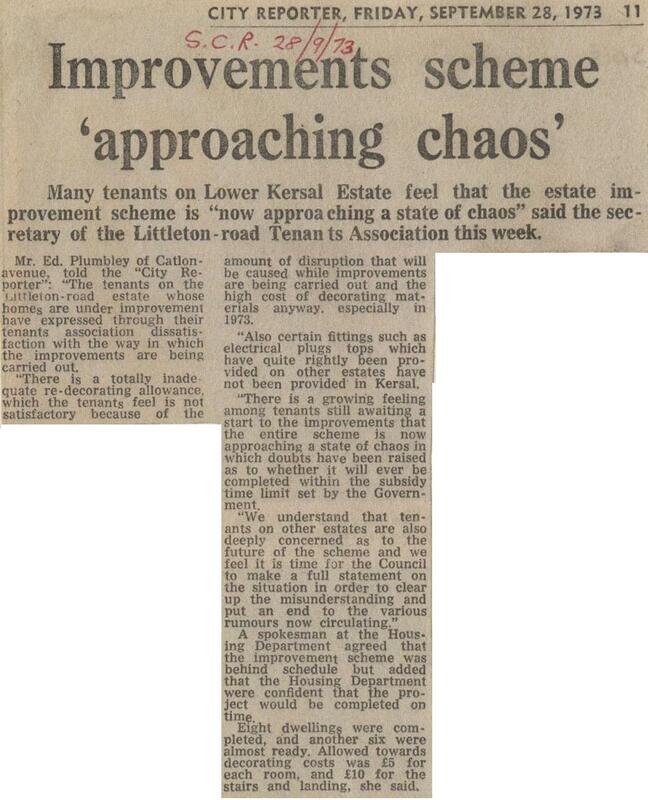 Reports on Problematic Housing Improvements in 1972-3. 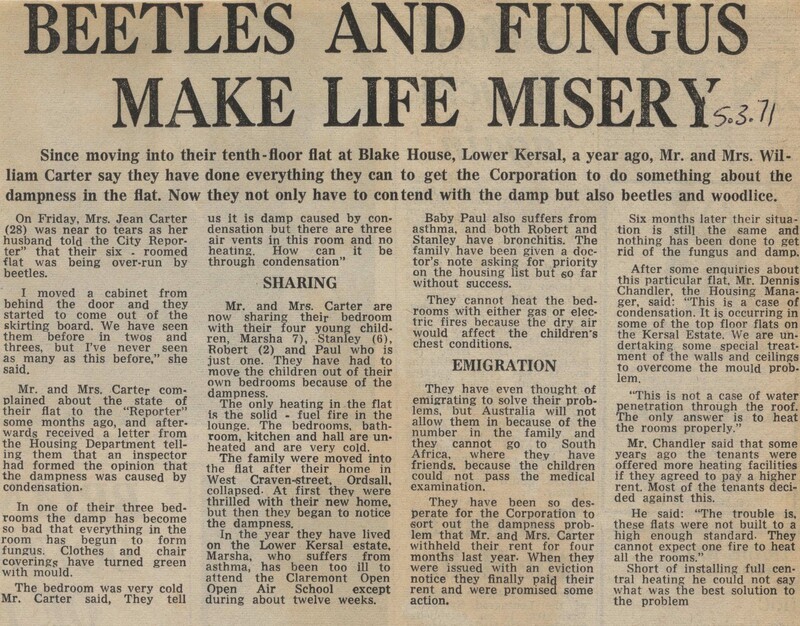 And from the Manchester Evening News 13th March 1973. 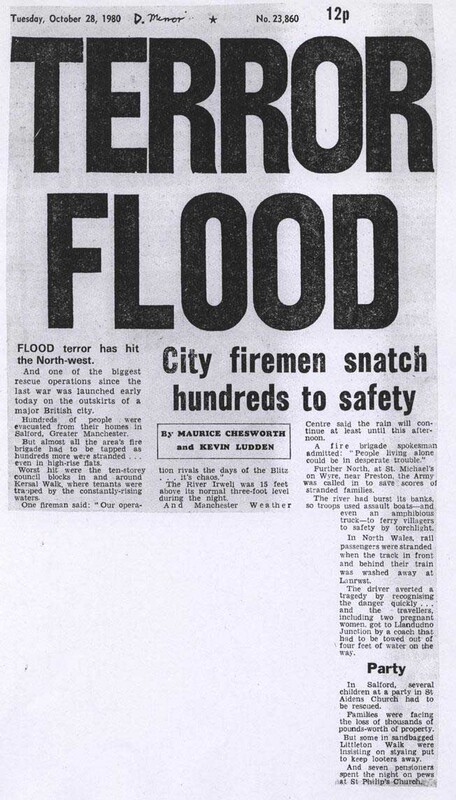 And concerns about how the scheme is going from the Salford City Reporter 23rd September 1973. 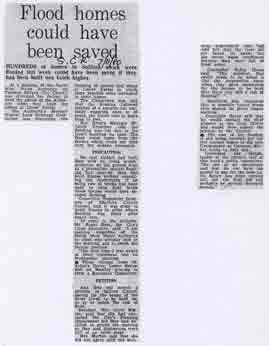 A newspaper report from the Salford City Reporter on the 6th June 1975 on the first Kersal Festival. 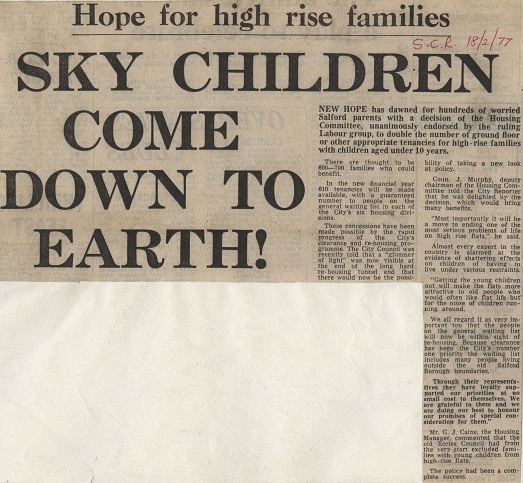 Click on the image for a large version. 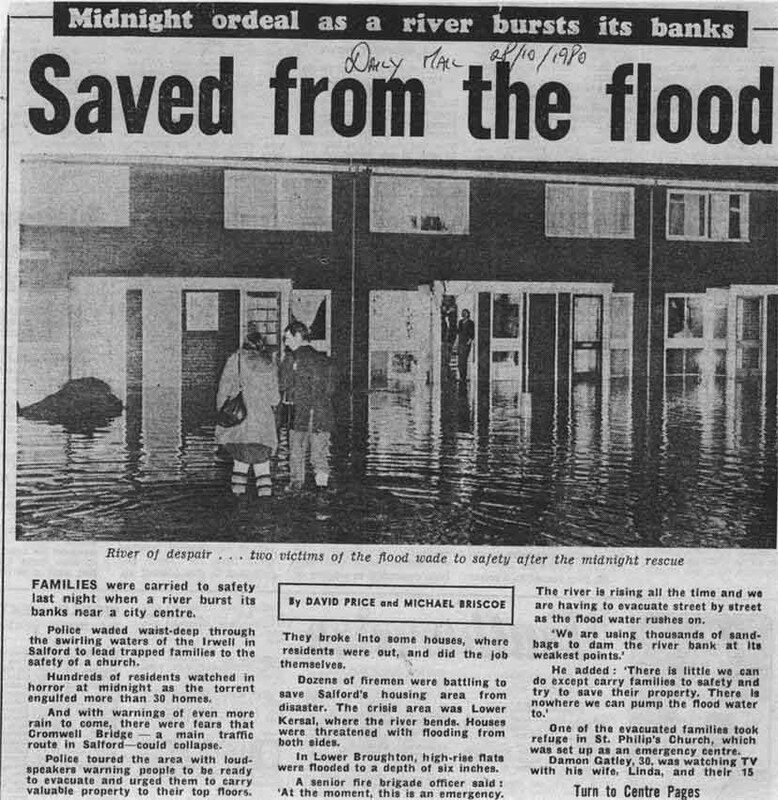 On the floods of 1980. A story telling the rescuing of the animals at St.Aidan's vicarage and various pictures from Kersal. 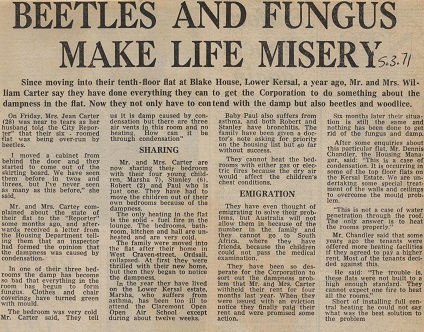 Salford City Reporter 31/10/1980. 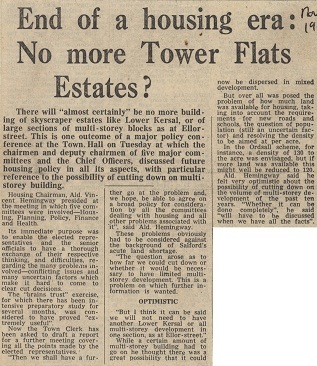 A series of newspaper articles on the future of the flats before the demolition. 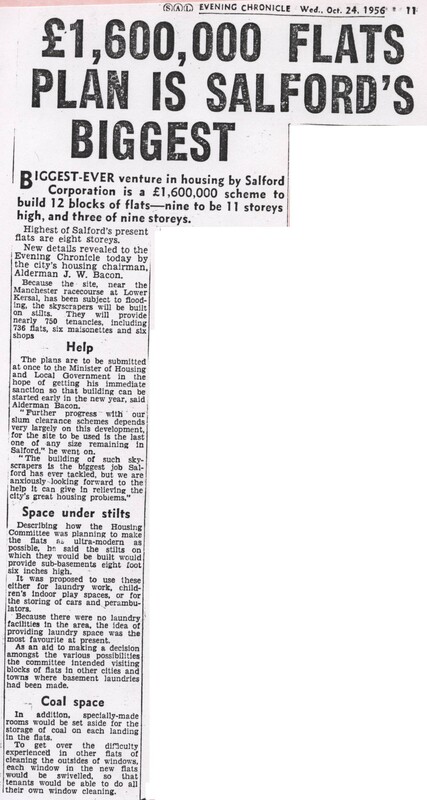 An earlier plan for the estate by the developers Regalian Properties. 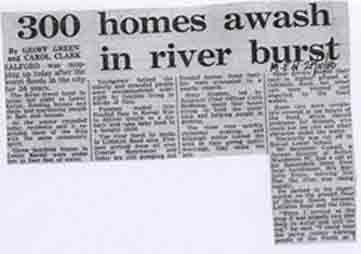 The original plan was to demloish only six of the flats. 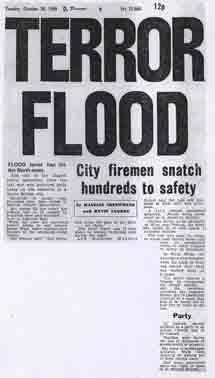 From the Salford City Reporter 20th October 1988.